Apple’s TV App, which is available on the 4th-Generation Apple TV and iOS across iPhone and iPad, now supports live sports and news in Canada. Previously, this feature was exclusive to the United States. This means sports-focused apps such as DAZN, as well as news streaming platforms such as the CBC, will now show up in Apple’s TV App. While this won’t be a huge deal for all Apple TV users — especially if you’re already familiar with jumping between multiple apps rapidly, like me — for those that are fans of sports, quick access to live games is now built-in. • CBC — The app is free, but a $4.99 paid tier removes ads. • DAZN — A monthly subscription is priced at $20-per-month. DAZN features a variety of professional sports leagues, including the NFL, MLB, and various pro soccer leagues. You can find a full list here. • Sportsnet — A monthly subscription is priced at $24.99. • TSN GO — A cable subscription is required. • RDS GO — A cable subscription is required. As it stands right, league-based apps like Rogers’ NHL Live and MLB TV aren’t available though the TV App, though Apple says this could change in the future. It’s worth noting the TV app also handles sports content differently from television shows or movies. For instance, even if you don’t subscribe to a specific service, sports content from that platform will show up under the TV App’s specific tab. This isn’t the case with television shows or movies featured in the TV App, with Apple only pulling content from services you already subscribe to. Apple says it made this shift in order to give TV App users a better idea of what live sports content is available through the Apple TV. Further, before a live event airs, it’s displayed as a thumbnail outlining what teams are playing, as well as the time of the game, but once the broadcast is underway, the thumbnail turns into a live image of players. Users can also set specific teams to an in-app favourites list in order to receive notifications related to when games are airing, as well as specific times when you might want to tune into a close match. 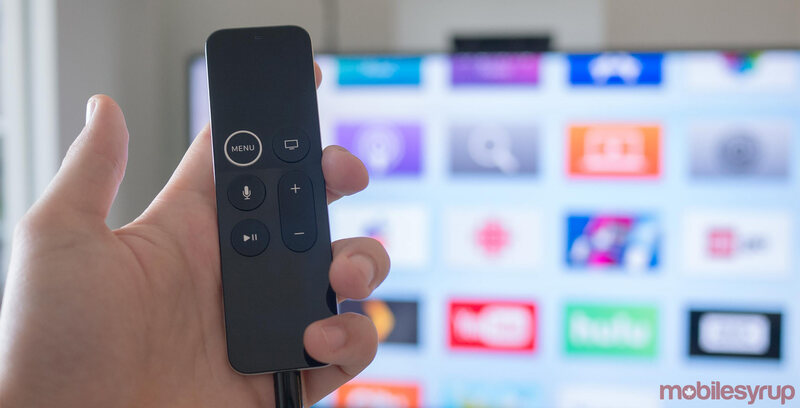 Apple’s TV App first launched in the U.S. back in 2016, before making its way to Canada in 2017, though live television only just launched in the Canadian market today. The Apple TV App is pre-installed on every iPhone and iPad running iOS 11.2 and above, as well as the Apple TV 4K and Apple TV 4th generation. AT WWDC 2018, Apple announced tvOS 12, the new version of its Apple TV operating system. While a minor upgrade over tvOS 11, tvOS 12 does feature a few notable upgrades over its predecessor, including Dolby Atmos support and password autofill.